The iCushion: the practical yet luxurious iPad accessory. Perfect for any long car journey. And when you've finished with the tablet, use it as a pillow and sleep the rest of the way. The iPad and other tablet devices are soaring in popularity, and rightly so, they're a lot of fun to play with and offer us effective solutions at work. However, we've seen a rise in the number of people suffering from iPad Hand and iPad Shoulder, which is what doctors are calling the Repetitive Strain Injuries (RSI) from holding and hunching over the wonderful tablets. The iCushion is a classy solution to these problems, combining comfort with quality to keep you healthy and happy. Made of velvet and silk and available in a variety of colours, the square cushion grips the pad and supports it at the optimum viewing angle, allowing the user to operate the screen in a relaxed, comfortable way wherever they are, whether that's at the table, on the sofa, or curled up in bed. The iCushion's beanbag interior makes it the most comfortable iPad holder out there, and its shape makes it much sturdier than your average iPad stand. 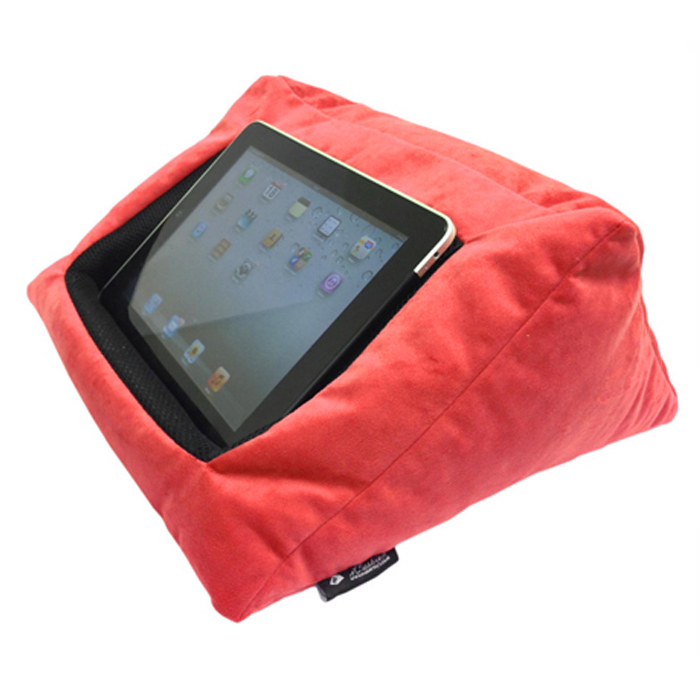 What's more, the iCushion can be used with any other make of tablet or e-reader, making it very versatile.